ALM RECORDS / Kojima Recordings, Inc.
Yukio Kojima, one of the founders of the FONTEC recording company, established Kojima Recordings in 1974, and began producing recordings under the label of ALM RECORDS. Ever since then, the company has produced carefully crafted discs which attract a great deal of attention. The company always strives to produce unique CDs through extensive cooperation with the artists and the kind of meticulous care that only an independent label can give. In recent years the label has concentrated on classical music, including contemporary music, early music and Japanese traditional music. Especially, the company's recording technology has received the highest acclaim from all concerned. 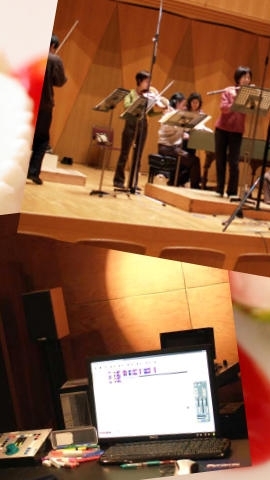 Moreover, the company has much experience with recording and editing for other companies (UNIVERSAL MUSIC, KING INTERNATIONAL etc), as well as concert hall projects, music festivals (Tokyo International Music Festival), concerts (subscription concerts of the Gumma Symphony Orchestra and Kansai Philharmonic Orchestra), competitions (Hamamatsu International Piano Competition), and commissioned recordings for amateur groups. In 1997, the company created the Japanese music label EBISU, and was awarded the Ministry of Culture Arts Festival Composition Prize for the CD "Sankyoku/The Group Atarasii Kaze". So far the company has produced more than 600 CDs. We intend to continue to create a legacy of significant recordings for the future. If you want to purchase directly from us, we also accept orders from overseas.